Are You the Best Editor for Your Work? A writer friend asked me whether it was really a good idea to pay a professional editor to read her manuscript. My immediate response was yes, but the question made me pause and reflect on my personal experiences. I have had all six of my novels (number six coming this summer!) edited by pros. Here are my thoughts. There is huge value to editors who “copy” edit, that is, they read for spelling, grammar, syntax, etc. You always miss something: a comma where it doesn’t belong, the incorrect use of a semicolon. In terms of the broader picture: the plot, characters, structure, tension, conflict, on and on, the pro can be very helpful. . . or not. 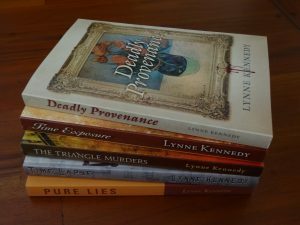 In The Triangle Murders, the professional editor I hired was so intrigued with the historic story that her suggestions would have made me totally change the book. It would have become a historic mystery rather than a historic mystery that is solved today with modern technology. She had her own vision for the book. But who was writing this? The editor I hired for my Civil War book, however, was extremely helpful. He gave me an idea for a dynamite ending that I hadn’t even considered. It totally changed the story for the better. Edit in small sections at a time. If possible, reread the section before and then edit the current 5 to 10 pages. Also, read aloud (or to your dog or cat.) I can’t emphasize enough how important this is. You’d be surprised what you hear that you didn’t think you wrote. Dialogue may sound stilted, tension weak, setting inappropriate. Often I will come away from my reading out loud thinking, ugh, did I write that? Do you want to turn the page? 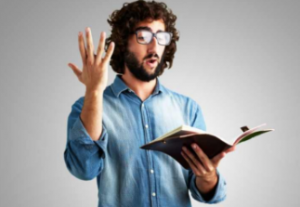 Did you stumble over awkward phrases or clunky words when you read aloud? Were you confused by your own plot twists? Did punctuation mess up your reading? Were your characters boring, too flawed (yes, that’s possible) or totally unbelievable (unless you write Bourne thrillers)? Were there plot inconsistencies ie: a character appeared after she was murdered? Were there setting inconsistencies? It was hot as Hades one day, snowing the next? Did you get your facts right? Very important if you want authenticity. You can be your own best editor. But, just to be sure — reread, rewrite, read aloud. And again x 3. Now hire a professional for the final read. I agree before publication a professional editor should also be hired. Prior to sending my manuscripts to one, I always make it the best it can be. Your self-editing list is very helpful. Thanks! Such a good article, Lynne. So many valid points including the editor’s maintenance of the writer’s voice. Whatever process you followed worked as your final product was excellent! I agree 100% about the need to hire a professional editor, but that’s not as easy as it sounds. Location can come into play if you feel you need to work with someone in person, but the key is knowing what kind of editing you want. Do you want help with the content? That’s a different editor than a copy editor who focuses on grammar, spelling and the like. Make sure you and the person you hire are on the same page in terms of the type of editing you want…and of course on how much they will be charging you. You are absolutely right, Peter, on all points. But then nothing about writing is as easy as it seems. Thanks for your thoughts. Thanks! I’ve also found the feedback from a critique group, or a critique partner, and greatly improve a work in progress. Also the use of programs like Grammarly and Autocrit can help with punctuation, pacing, and even poor phrasing. Another thing – I spotted numerous, additional errors and issues after my manuscript was converted into a book format. This is not a bad exercise to go through. It helps you reimagine your book as a finished product. All that said, a good editor, with an in-depth understanding of your genre, can be invaluable. Excellent points. Critique groups are invaluable. Thanks!